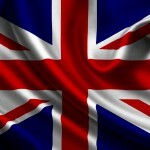 Whether Tuesday’s historic House of Commons vote to reject Prime Minister Theresa May’s current plan to move ahead with Brexit on March 29, 2019 will go down in the history books as a comedy or tragedy remains to be seen. 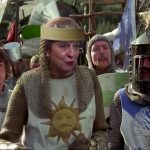 Even with the unheard of/historic vote count of 432-202, one thing is certain, however, is that it solidifies the sheer brilliance of Yes Minister, the 80s political comedy which continues to prove, once again, that life does imitate art as told by the genius mind palaces of the series co-creators/writers, Jonathan Lynn and Antony Jay. 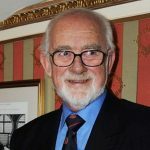 We had the great good fortune to speak with Jonathan Lynn several years ago who spoke then about how both YM and YPM are still relevant today. In the episode “The Writing on the Wall”, Permanent Secretary Sir Humphrey Appleby (Nigel Hawthorne) does his best to explain to minister Jim Hacker (Paul Eddington) precisely why Britain has such a difficult relationship with the EU. 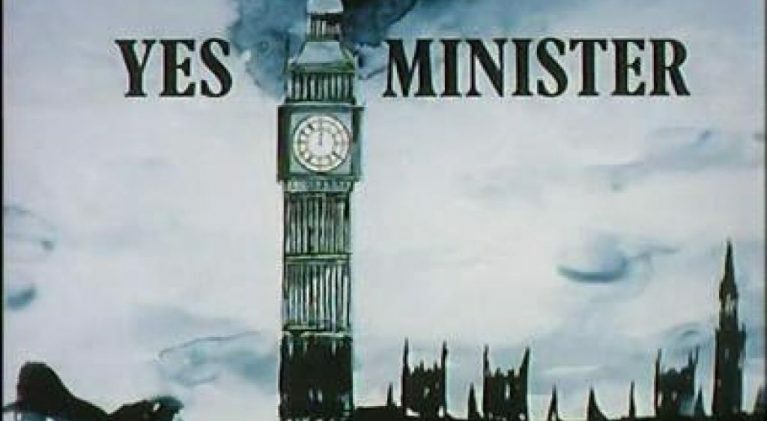 Keep in mind, Yes Minister was written almost four decades ago, premiering 25 February, 1980 on BBC Two! “We had to break the whole thing up, so we had to get inside. We tried to break it up from the outside, but that wouldn’t work. 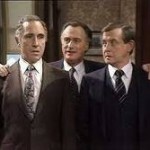 Now that we’re inside we can make a complete pig’s breakfast of the whole thing,” continued Sir Humphrey. Then, noting that Hacker thinks this practice is appalling, Sir Humphrey offers this final piece of greatness to explain that ‘…it’s called diplomacy’. 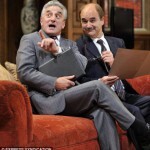 Appalling or diplomacy…comedy or tragedy. We’re going to have to see how this plays out. And, we don’t have long to wait as a fall back plan is required to be presented by Monday giving the PM essentially three parliamentary days to develop Plan B.